From increases in life expectancy to steep declines in infant mortality, many of Sub-Saharan Africa’s development indicators are heading in the right direction. But with public-debt levels increasing, fiscal reforms are needed to ensure that the region's progress isn't stifled by interest payments. 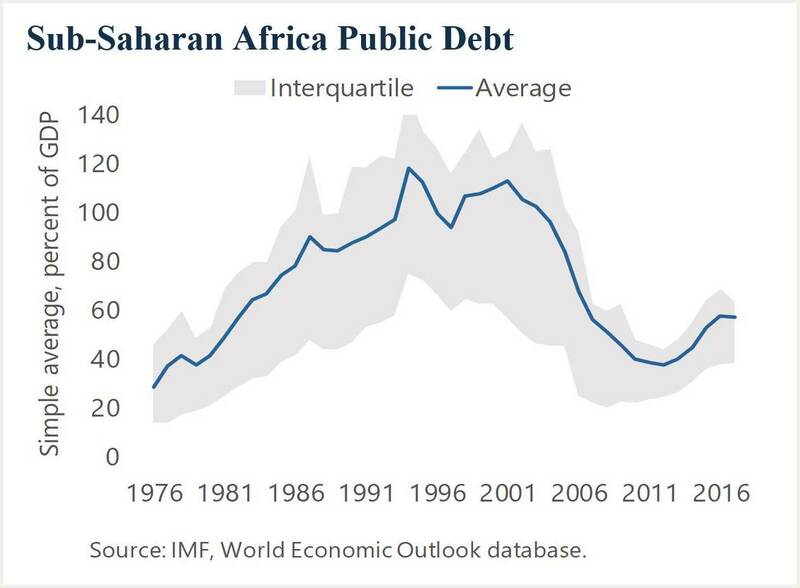 WASHINGTON, DC – Sub-Saharan Africa is confronting a pronounced rise in public debt. At the end of 2017, average public debt in the region was 57% of its GDP, an increase of 20 percentage points in just five years. While this is well below the peaks of the early 2000s, the current spike is concerning. Government borrowing to finance public investments is an essential part of any country’s macroeconomic toolkit. Over the last two decades, countries in Sub-Saharan Africa have used this option often, greatly improving human development outcomes as a result. For example, between 1990 and 2015, average life expectancy increased, infant mortality rates were halved, secondary school enrollment soared, and infrastructure gaps narrowed. These and other gains would have been impossible without pragmatic spending of borrowed resources. Abebe Aemro Selassie is Director of the African Department at the International Monetary Fund. "Additionally, most countries that have funded development and infrastructure through borrowing have failed to generate sufficient additional tax revenues to repay that debt. In many cases, countries have not been effective at capturing the return on their investments through their tax systems." ... I think the problem is much bigger than that in some countries. In many cases it is not be simply whether the Gov is able to capture the returns through taxation but whether there are any returns, or whether returns are large enough to justify the investments. If the problem is that of taxation then we would have seen a decline in tax/GDP ratio only but what we also see is much lower growth rates than pretty much everybody expected. The quality of public investments is crucial, in many instances they don't seem generating returns to an extent that would make these investments meaningful. Even though your analysis is definite, i dont think what is stated as a solution is just for Africa. Most of Sub-sSaharan African countries are heavily dependent on imported goods and services. So, actually what we have been doing and what you are actually is "SUPER BENEFITING OF THE WEALTHY". we take money from the wealthy, we give it back to them as a payment for goods and services they provide and then when our debt mature we will be forced to pay them principal and interest. Well obviously, we are still under economic colony. We need a reform that can break "SUPER BENEFITING OF THE WEALTHY" chain. Cause in my opinion we cannot provide long term stability using the pre-stated solutions. The best way to do it is create a continent based economic link that can provide goods and service for the continent and abroad. The focus should shift side as soon as possible. The current rate of date should shift tremendously otherwise, we will completely fall under economic colony. Another important paradigm to embrace should be efficient debt management. For what is worth, a debt service fund should be established by predetermining its source. "Additionally, most countries that have funded development and infrastructure through borrowing have failed to generate sufficient additional tax revenues to repay that debt. In many cases, countries have not been effective at capturing the return on their investments through their tax systems"?? That's a little vague. Are 'most countries' failures Chinese-funded? What, exactly, has failed and why? Mar 20, 2018 Francis Mangeni explains what must be done to reap the full economic benefits of the coming Continental Free Trade Area.